I’ve been busy getting my house back to a place of “decent” and keeping up with the shop and putting new product in all the time. I have sold a couple larger pieces in the last couple weeks which is good! But it leaves me feeling like I need to produce more. Even though I can finally see my garage floor and not have to constantly rearrange just to work on something. That has been so nice and easier to keep clean. I have worked at Summer Cottage quite a bit lately it just happened that way but it is feeling more and more comfortable. I don’t feel so much like the newbie…even though I still am. Everyone at the shop has their spin on the business and knowledge from being at it for so many years. Its fun to listen to how things are now as opposed to the past etc, I am still so green and its interesting. I have started getting my space ready for MMS paint line coming very soon! I took this very cool wooden set of lockers that I had in my garage. I originally got two of them so that I could store some of my “littles” in my garage and not have them get full of saw dust when I am working on a piece. I acquired them from Craigslist yes….they were free! I was so excited because they are way cool. Immediately my bestie said “you could sell these!” But I kinda get attached to things so for now one’s in my garage as storage and the cooler one is in the shop just waiting for Miss Mustard Seed’s Milk paint! This is the top of the cabinet I will post a full view picture soon. I also took down to the shop this little table in Tricycle Red from Miss Mustard Seed’s paint line. The wood was unfinished so it was pretty porous and didn’t do the chippy thing but it’s darling! So fun to work with Color! There has been lots going on lately…not that there ever isn’t. But recently it has been stressful,challenging and fun! 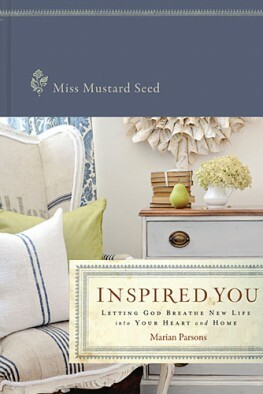 I announced a few days ago that I was going to carry a new paint line in my space Miss Mustard Seed Milk Paint at Summer Cottage. Well I am most definitely but you see I had no idea how I would even make that happen. First of all I was absolutely terrified to put myself out there like that and Miss Mustard Seed? What was I thinking I just got into this business in February! Not to mention I had been eeking by with my checks at the shop just enough to keep new product coming in and make rent. Which my bestie kept reminding me that I was doing good for first starting…but I wanted more! So the opportunity came and I jumped on it. How was I going to pay for it? That was a bigger question I really wanted to do it on my own…..and mostly I did! With the encouragement of my partner/bestie we had a barn sale one weekend. The following week I had a garage sale, posted on CL, and had miraculous sales in my space in the last 2 weeks. I am happy to say with that I am fully funded! God works so quickly and faithfully once you give it to Him! I will tell you that I love this paint! As I said I just really started in the business in February and didn’t have a ton of experience painting furniture. I had used regular latex paint but mostly Annie Sloan Chalk paint for my pieces. I love ASCP for a few reasons you don’t have to sand or prime. You can pretty accurately anticipate the outcome and it sands and finishes well. Milk paint is different first you don’t just open a can, its in powder form so you mix it with water. You may need a bonding agent depending on what your painting. And you have to be flexible with the results. The cool thing about milk paint is it does this natural looking chippy flaking effect. The dresser I did feels like it was painted this way for years and has a great finish. I also love the dimension in the pigment so cool. I will be posting much more information about milk paint. I can’t wait to get the rest of the colors! They are coming soon early August and taking pre-orders! This is the dresser before milk paint nice serpentine front, original hardware, almost perfect except for the top…lots of potential. So my pictures are not great I am going to invest in a real camera soon. My point and shoot isn’t cutting it and my iphone…yes my iphone I know terrible is actually better than my camera but here it is fuzzy and all.